It’s important for pet owners to know everything about their pet’s food, but do they know anything about the companies making this food? Pet Fooled, a new documentary now on Netflix, eloquently lays out the case against kibble by talking to real pet owners and veterinarians. It powerfully exposes the inner workings of the five multi-billion dollar companies that make all of kibble and commercial pet food, and how they put your pets at risk. The experts interviewed, including Dr. Barbara Royal, author of The Royal Treatment, all explain that raw, species-appropriate diets are far superior to kibble that’s made in a poorly regulated industry. The switch could literally save your dog or cat’s life. The Epidemic – Are You Being Pet Fooled? 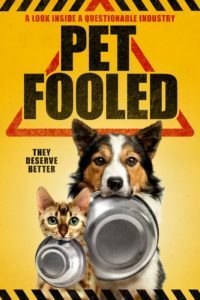 Pet Fooled, directed and narrated by Kohl Harrington, details the problems that have arisen in the last hundred years of feeding pets processed, carb-rich, inappropriate foods. The alterations to the general diet went through a major change around the time the United States entered World War 2 – because of restrictions on raw materials, pet food could no longer be released in cans. Corn and wheat subsidies have also made it easier for companies to get them as filler. According to Pet Fooled, Americans spend an estimated $60 billion on pet expenses every year, but much of this money is spent inadvertently harming their pets. Pet owners assume that what they’re doing is good for your pet, but the case against commercial pet food becomes overwhelming once the documentarians investigate. The companies tell consumers to feed pets based on what they want to sell, not based on what’s healthy and nutritious for the pets. The packages all look lovely – the movie includes appealing montages of kibbles that have a lot of appealing words and phrases, including “thoughtfully prepared,” “organic,” and “playful life” – but they all mask unnecessary, rendered, unhealthy ingredients. These foods all contain processed corn, wheat, and soy products, ingredients that have been linked to overweightness, diabetes, skin problems, and a host of other health problems in your pets. They’ve caused an epidemic of unhealthy pets being diagnosed with often human-related illnesses such as diabetes and arthritis, all linked back to poor diets. It’s also the secretiveness of the industry that should give pet owners pause. Most of the time, companies keep kibble ingredients secret, and do not reveal at what temperature their foods are processed at, or the fact that these high temperatures create trace amounts of carcinogens in the foods. 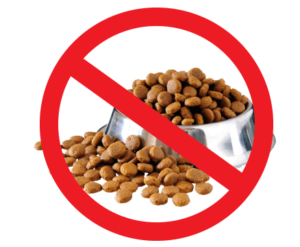 Kibble also contains no moisture, which keeps pets in a constant state of dehydration. Rules for what can go into food are often controlled by state feed regulators working closely with pet food companies, who then create their own standards and definitions. For example, the Association of American Feed Control Officials says that anything labelled “organic” “must have 3% organic chicken, and at least 67% other organic ingredients. Could contain non-organic chicken meal or non-organic chicken fat.” It’s easy to see that this isnot organic, and the redefinition works in the industry’s favour, not your pet’s. Pet Fooled shows the industry for what it is: self-regulated, condoned by the government to label how they want, and provided with loopholes to avoid federal law. The pet food industry has conveniently figured this out all the while figuring out how to maximize profits. These gross regulatory oversights put pets at risk, as happened in 2007 when melamine-infected pet food killed thousands of pets. This is where the true power of the documentary lies: the interviews with pet owners who lost their pets to tainted food and treats will break your heart. 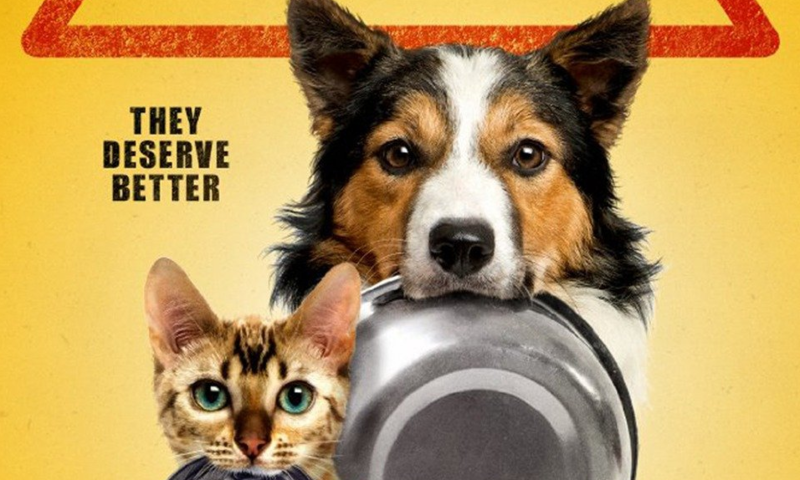 The documentary is clear, and it makes a persuasive case for feeding pets an exclusively species appropriate diet. Veterinarians like Karen Shaw Becker and Dr. Barbara Royal are the best voices in the movie, as they work right with the pets. They say that raw food not only gives pets what they need evolutionarily, but it keeps your pets safe from a poorly regulated industry that uses harmful preservatives and unnecessary carbohydrates. If you love your pet, or aren’t entirely convinced to change over to raw food diets, watch Pet Fooled. It’s an eye-opening exposé that will change how you see what your pet eats. This entry was posted in Raw Pet Food and tagged raw pet food, kibble, pet care, healthy pet, keeping you pet healthy, pet fooled.